How to extend the extrusion gear pump to perform labor time? extrusion gear pump transport medium is not only the selection of the delivery medium of energy transfer agency, and also smooth, sealed and heat transfer medium. Transporting high-viscosity liquid extrusion gear pump should be done at lower power consumption, fewer leak, most traffic output under greater pressure. 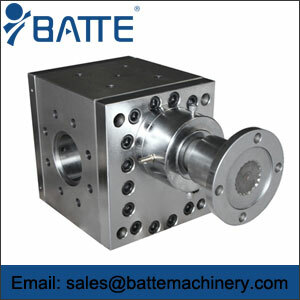 extrusion gear pump liquid viscosity reflects the degree of difficulty medium flows, the viscosity is too high will add in the friction, decrease output power, can spoil the rules on product brochures, try to use the manufacturer referral fluid medium, and pay attention to the amount and occurrence the high temperature of the system. In determining the medium to be transported, the system should be considered strictly comply with the operating temperature scale.